This blouse is from 1912 era. Hand embroidery was called "Shadow Work". 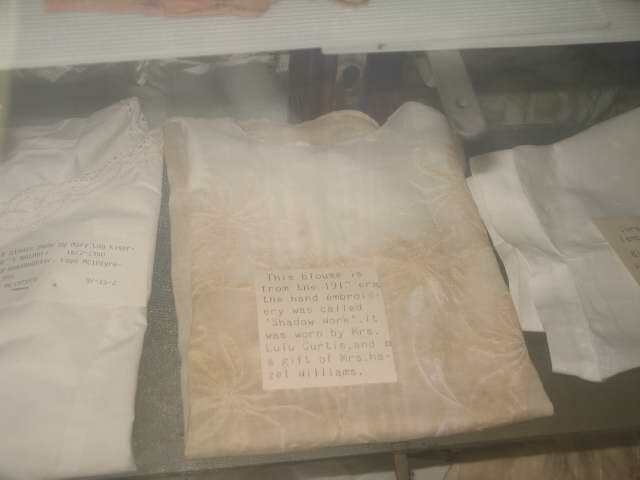 It was worn by Mrs. Lula Curtis and is a gift of Mrs. Hazel Williams.